We engrave directly on the back of the ornament. Makes it extra special. 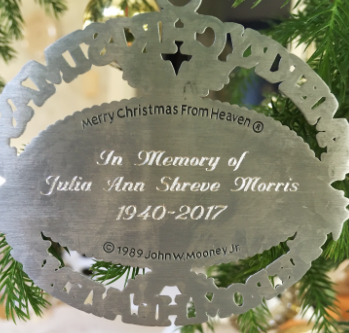 Our Pewter Merry Christmas from Heaven Ornament was created by: John Mooney, Jr. 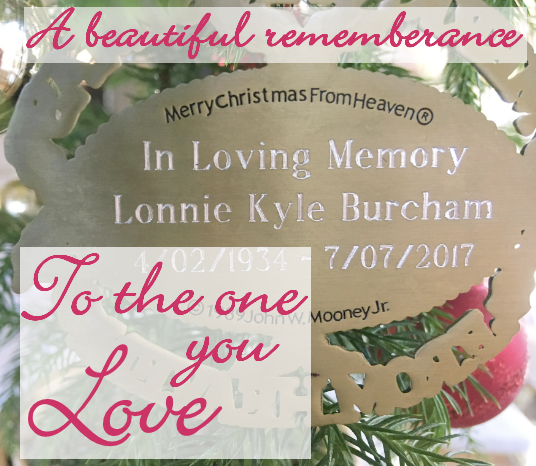 He wrote Merry Christmas from Heaven in his mother's memory, envisioning words she might say to her family. His poem gives comfort to those who've lost loved ones. 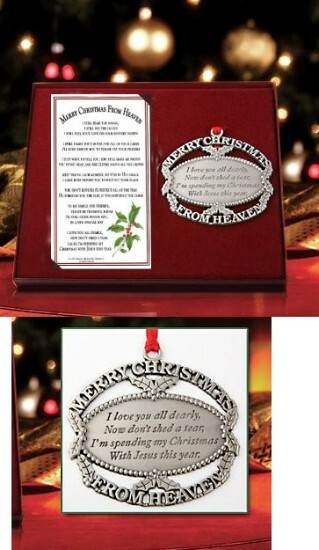 Keep the memory of someone dear close to your heart with our lovely pewter ornament and bookmark. 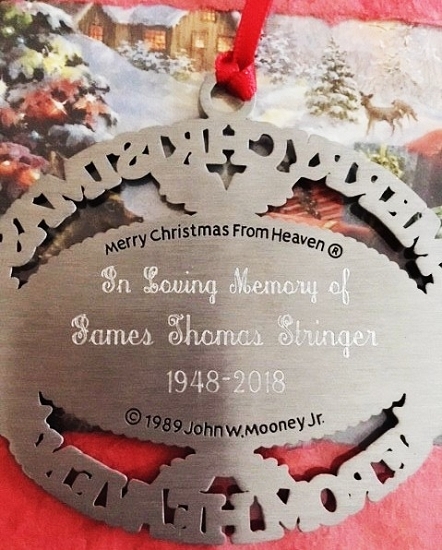 The pewter ornament with ribbon hanger is etched with an excerpt from the poem: "I love you all dearly, now don't shed a tear, I'm spending my Christmas with Jesus this year." 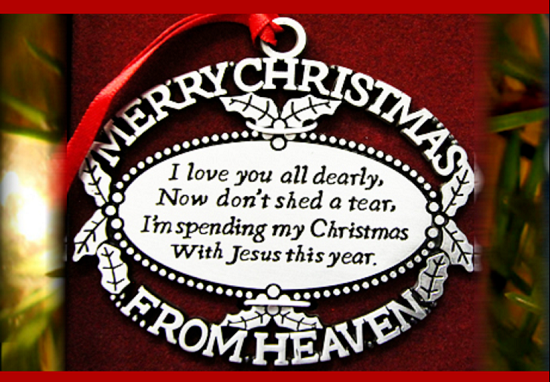 Merrry Christmas from Heaven Ornament and bookmark arrive in a velveteen gift box. 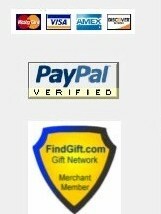 These are most thoughtful and heartfelt gifts. Ornament: 2 3/4" x 3". 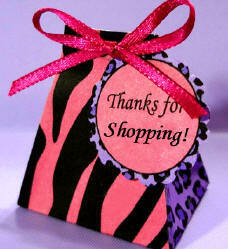 Bookmark: 2 3/4" x 4 3/4". (C) 1990 John W. Mooney, Jr.